Yumimoto, K., Nagao, T. M., Kikuchi, M., Sekiyama, T. T., Murakami, H., Tanaka, T. Y., Ogi, A., Irie, H., Khatri, P., Okumura, H., Arai, K., Morino, I., Uchino, O., and Maki, T.: Aerosol data assimilation using data from Himawari-8, a next-generation geostationary meteorological satellite, Geophys. Res. Lett., 43, 5886-5894, doi:10.1002/2016GL069298, 2016. 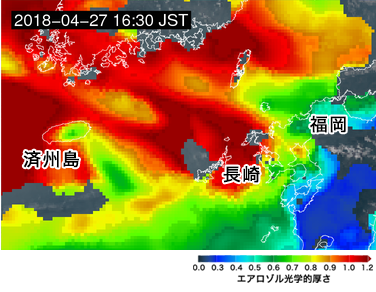 Sekiyama, T., Yumimoto, K., Tanaka, T.Y., Nagao, T., Kikuchi, M., and Murakami, H.: Data Assimilation of Himawari-8 Aerosol Observations: Asian Dust Forecast in June 2015, SOLA, 12, 86–90, doi: 10.2151/sola.2016-020, 2016. 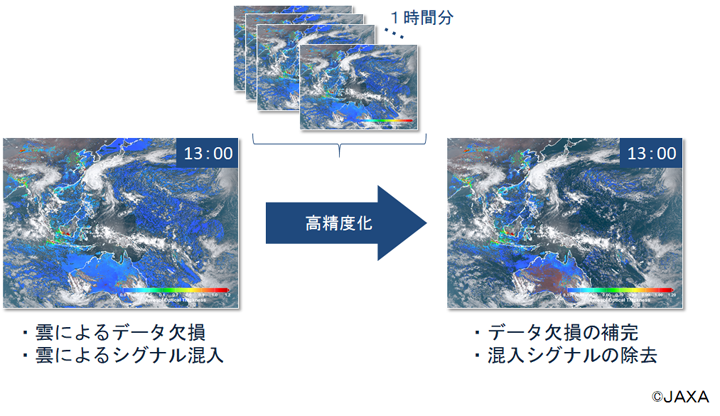 Yumimoto, K., Tanaka, T., Yoshida, M., Kikuchi, M., Nagao, T. M., Murakami, H., Maki, and T.: Assimilation and Forecasting Experiment for Heavy Siberian Wildfire Smoke in May 2016 with Himawari-8 Aerosol Optical Thickness, J. Meteorol. Soc. Jpn., 96B, 133-149, doi: 10.2151/jmsj.2018-035, 2018. Yoshida, M., Kikuchi, M., Nagao, T. M., Murakami, H., Nomaki, T., Higurashi, A.: Common Retrieval of Aerosol Properties for Imaging Satellite Sensors, J. Meteorol. Soc. Jpn., 96B, 193-209, doi: 10.2151/jmsj.2018-039, 2018. 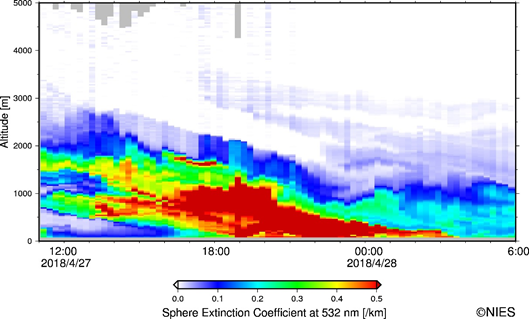 Kikuchi, M., Murakami, H., Suzuki, K., Nagao, T. M., Higurashi, A.: Improved Hourly Estimates of Aerosol Optical Thickness Using Spatiotemporal Variability Derived From Himawari-8 Geostationary Satellite, IEEE Trans, Geosci. Remote Sens., 56 (6), 3442-3455, doi: 10.1109/TGRS.2018.2800060, 2018.